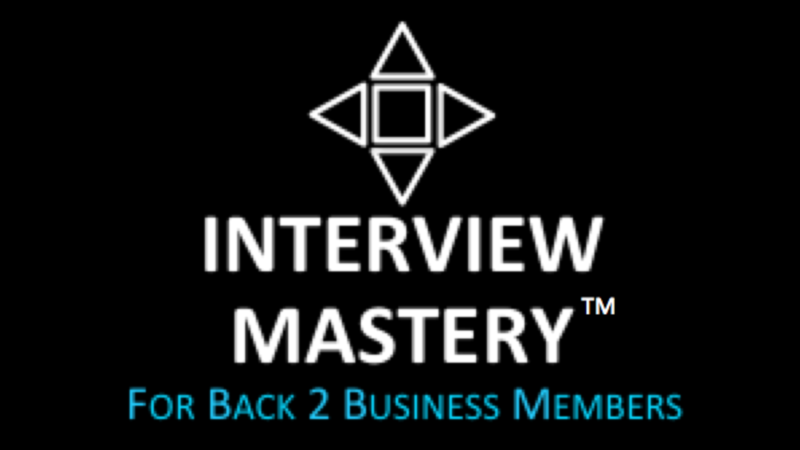 Interview Mastery gives Back 2 Business members a proven formulas and step-up-step guides, so you can CONFIDENTLY handle the most stressful and risky job interview situations, and so you can land a terrific new job and get your career on track. Interview Mastery is the world's most widely used job interview program used by more than 54,000 people in 73 countries to improve their career, and their life. The program is UNCONDITIONALLY GUARANTEED. You are either thrilled with the program or it is free to you.